My colleague Will McBride has already written about the Mitt Romney video everyone’s talking about, but I wanted to touch on another aspect of the “nonpayers” phenomenon at the center of the controversy. What does it mean to be a “nonpayer” when it comes to the federal income tax? The standard definition that we and others use is someone whose income tax liability is zero or negative. The main thing driving the growth of nonpayers is the recent expansion of refundable tax credits such as the EITC and the child tax credit. (It’s worth noticing that both parties share responsibility for this: the Bush tax cuts doubled the child tax credit and expanded the EITC for married filers, and the 2009 stimulus bill further expanded both credits.) The size of these credits often exceeds the amount of tax owed by low income filers, and because they are “refundable,” they receive a check from the IRS for the difference. One of the problems with these kinds of tax credits is that they muddle the separation between who pays taxes and who doesn’t. 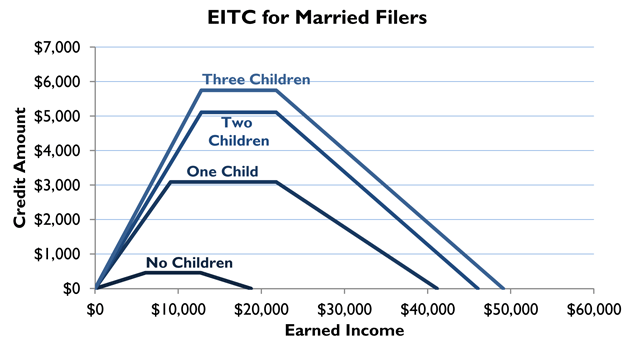 For example, just because a family receives a tax credit worth more than their tax liability, that doesn’t mean they don’t pay income tax at all – after all, their taxable income and tax liability before credits could still easily be positive, and so changes in tax rates would affect them in a material way (by changing the size of the check they ultimately get back.) Furthermore, these credits cause people to become “nonpayers” specifically because they are implemented through the tax code and not as a direct spending program. 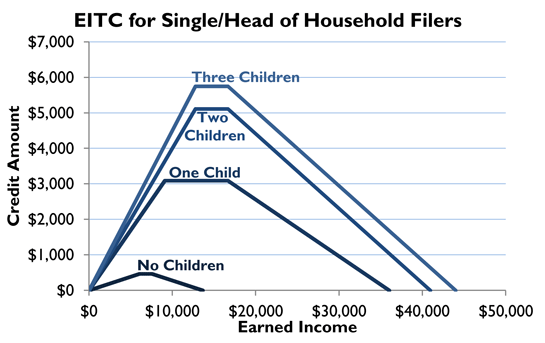 If the child tax credit were instead implemented by having a federal agency write every family a check for $1000 per child every year (while phasing out the benefits at higher incomes) the ultimate effect would be more or less the same as the status quo (despite the reduction in the nominal number of "nonpayers") and done entirely outside the tax system. Furthermore, even when such credits don't exceed tax liability, calling these things “tax credits” reduces transparency by disguising government spending as foregone revenue. Some people would dispute this narrow definition of nonpayer because they don’t consider the phase-out of a cash benefit to be a tax. So a third, slightly more expansive way to define “nonpayer” would be someone whose taxable income is positive – someone whose income exceeds their standard deduction and personal exemptions. This definition has the advantage of classifying everyone who is affected by changes in statutory tax rates (that is, people with “skin in the game”) as a payer, and everyone who isn’t as a nonpayer. I’ve created a small calculator widget (using 2011 tax law) below to show the differences between these definitions. You can enter in a filing status, income, and number of children, and determine if the household is a nonpayer under any of the three definitions above. Update: I've put together some more data on these different definitions.